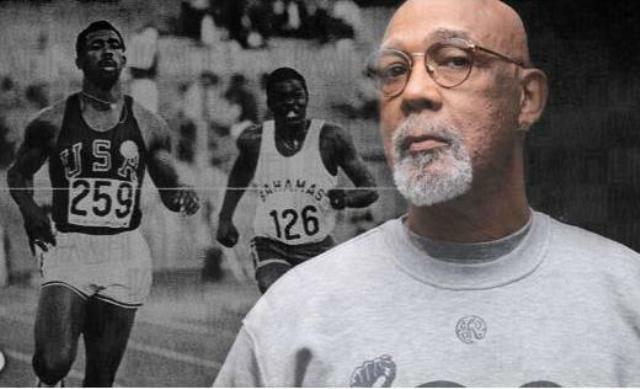 COMMERCE - Texas A&M University-Commerce will honor John Carlos with an Honorary Doctor of Letters degree at 3 p.m. May 12, 2012 at the commencement ceremony for master’s and doctoral graduates. He will also serve as the keynote speaker for the event. Carlos attended A&M-Commerce (then East Texas State University) from 1966 to 1967 on a full scholarship for track and field, becoming the university’s first Lone Star Conference champion. The following year, after earning a bronze medal at the 1968 Olympics in Mexico City, the former track star from Harlem joined Tommie Smith on the medal stand, raised a gloved fist in silent protest and made world history. Carlos’ commitment to the world’s ongoing struggles for human rights has been unwavering and his impact beyond measure. He believes in the rights and dignity of every human being. It is this core value that drove him to risk everything he had to stand up for social justice atop that medal stand in 1968 before millions of viewers around the world.